1. To fly or not to fly? When it comes to choosing a vacation destination, it can be hard to decide whether to drive or fly. The question many expecting mothers have is: is flying safe? The American College of Obstetrician Gynecologists recommends that women can fly up to 32 weeks into their pregnancy. If you do opt to fly, it is essential to find a local hospital close to the airport just in case you need any medical attention. It is probably best to contact the hospital before your trip to ensure they are happy to take you in should you need their help. Just with many other aspects of your pregnancy, there are plenty of steps to take before you are given the all clear to travel. One important thing you need to get is a letter of medical clearance from your doctor that says you are in good health to fly. Have you also thought about any potential vaccinations you may need before heading abroad? Some countries require you to be fully vaccinated before you are allowed to travel, and it’s especially important to protect yourself when pregnant. However, not all vaccines are safe for pregnant women. Holidaysafe provide a handy checklist of all the medical requirements and documents you’ll need before you travel. As exciting as an adrenaline-fueled vacation may sound, can you and your bump handle all the action? 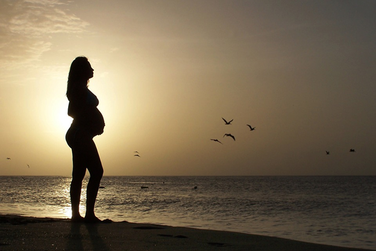 Pregnancy can be an incredibly tiring time, so choosing a suitable destination is a must. It may be best to find somewhere that allows you to drive to many locations, or has an extensive public transport network. If you opt for a place that has a lot of walking involved, have you considered whether the ground will be flat? Hiking up and down hills is a lot harder when you're pregnant, so you don't want to exhaust yourself. Why not consider a vacation with pre-booked tickets to attractions so that you can avoid the lines? Not having to wait around for hours is always a bonus. Out of all the trimesters, the first may be the toughest to handle. Morning sickness tends to be at its peak around the 6 - 10-week mark, meaning a lot of your vacation could be spent feeling nauseous. Anti-sickness medication may help, but they may not completely alleviate the symptoms. The second trimester is considered the “easiest” as the sickness usually passes, and you won’t feel as tired as you may do in the third. However, your bump may rapidly start to grow during these weeks so try and buy vacation clothes that stretch. Entering the third trimester means you are ever closer to welcoming your new baby to the world. You may feel more tired at this stage than in any other, making traveling difficult. Plus, some travel insurance may not cover medical bills if you go into labor while you are away, so make sure you check the small-print! Pregnancy can be beautiful, but it can also see random cravings or loss of appetite altogether. Although trying new cuisines can be a delicious experience, is your stomach going to be up to an adventurous dish? Before booking a vacation, it’s important to ensure there is somewhere that can accommodate your new eating habits - especially if you will be stuck on a plane for hours. There are also foods you should avoid while pregnant, so make sure you keep to these guidelines when eating out, for the baby's health as well as your own. Crossing these things off the checklist should ensure safe travel while carrying a little one. If you’re looking to head away, or have recently returned from a vacation, what were your tips? Please let us know in the comments!